Steve Buscemi is God, Daniel Radcliffe is great, and yet their high-concept comedy is unusually narrow-minded. “Miracle Workers” has the right idea and the wrong execution. Honestly, the TBS comedy has so much working in its favor, it’s hard to believe this isn’t the next big comedy breakout, or at least a future cult classic. Or maybe that’s just leftover good vibes from “The Good Place” talking. After all, being on cable makes things a bit more difficult; even great comedies (see: “Search Party,” “Detroiters,” and “Angie Tribeca”) struggle to find an audience when they’re not easy to stream. But it’s not a business dilemma that’s holding “Miracle Workers” back. It’s quality control. Though Daniel Radcliffe and Steve Buscemi are the show’s biggest names, serving as executive producers as well as stars, “Miracle Workers” focuses on Eliza (Geraldine Viswanathan), an angel who gets sick of “creating dirt” for the Earth’s soil and seeks a new position in Heaven, Inc. where she can really make a difference. That sends her to Craig, played with addictive enthusiasm by Radcliffe, who’s in charge of answering prayers. Craig is a bit overwhelmed and timid; he gets truckloads of prayers every day and focuses on the ones that are the most practical, like finding a glove or car keys. Eliza won’t have it. She needs to do more and decides to take on bigger prayers that Craig officially stamps as “impossible.” But when God (Buscemi) decides the Earth is hopeless and plans to blow up the planet (so he can start over with a restaurant called Lazy Susan’s, where you float on an inner tube around an island filled with chefs and pick up their dishes with a giant claw), only Eliza and Craig solving one impossible prayer can convince Him otherwise. The initial season of “Miracle Workers” is only seven episodes long. At 20 minutes per episode, sans commercials, that’s a two-hour and 20 minute movie, wisely broken into easily digestive episodic narratives. “Miracle Workers” is based on Simon Rich’s 2012 book, “What In God’s Name,” which means there’s a successful foundation driving the story, and a proven creator at the helm. Rich’s “Man Seeking Woman” got better every season, and showed expansive imagination while doing so. He seems like the right captain for this ship. However, the devil is in the details. Although the length isn’t a problem, it isn’t used wisely. 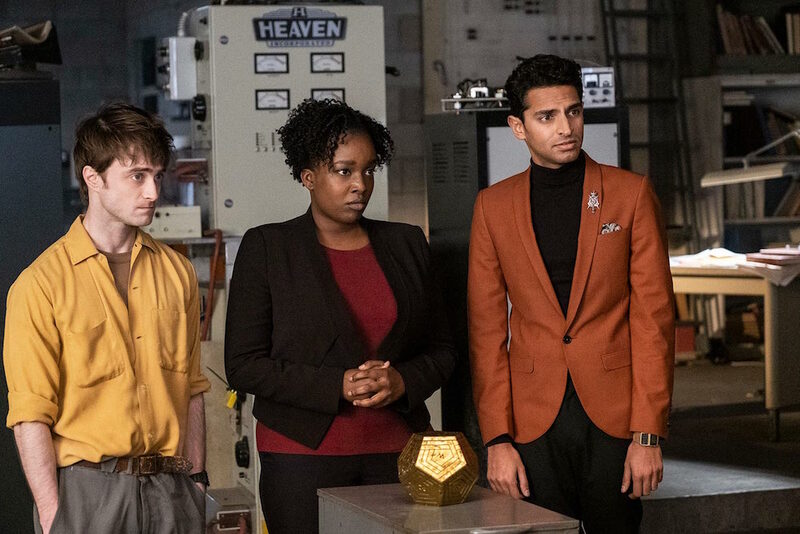 “Miracle Workers” skips a few key steps in the world-building process. While there are suggestions as to how the angels should answer prayers, there’s no clear delineation of what they can or can’t do. You don’t know where the angels come from until the fourth episode, and I was completely unaware God wasn’t omnipotent until Simon Rich told me during the show’s recent TCA panel. Basically, if you’re going to buck widely accepted presumptions about what heaven is like, then you need to spell out those differences up front. Moreover, there’s a dearth of inspiration that goes into the creative flourishes given to heaven and its occupants. The general aesthetic is like an American ’70s factory, with dated equipment, drab workstations, and big rooms sparsely stocked with pipes and machines. There’s nothing wrong with that per se — it could be funny to see heaven as an outdated sweatshop where angels punch a clock — but there’s a lack of imagination in the jokes surrounding their jobs as well as the activities required to get the job done. (Want to move a leaf? Watch a monitor! Want to burst an appendix? Push a button.) Even the wardrobe feels like it was pulled from thrift-store ensembles, but lack the hipster who could pull them together. Perhaps most infuriating, though, is the lack of commentary on humanity at large. In the year of our Steve Buscemi 2019, there are plenty of reasons to believe the human race isn’t worth saving, but “Miracle Workers” has zero interest in dissecting why it is — God just gets bored and the angels work to save the world because, well, it’s their job. Characters talk about free will and love and other elements philosophers cite as mankind’s greatest problems and blessings, but there’s no takeaway; the show just notices they’re there and moves on. 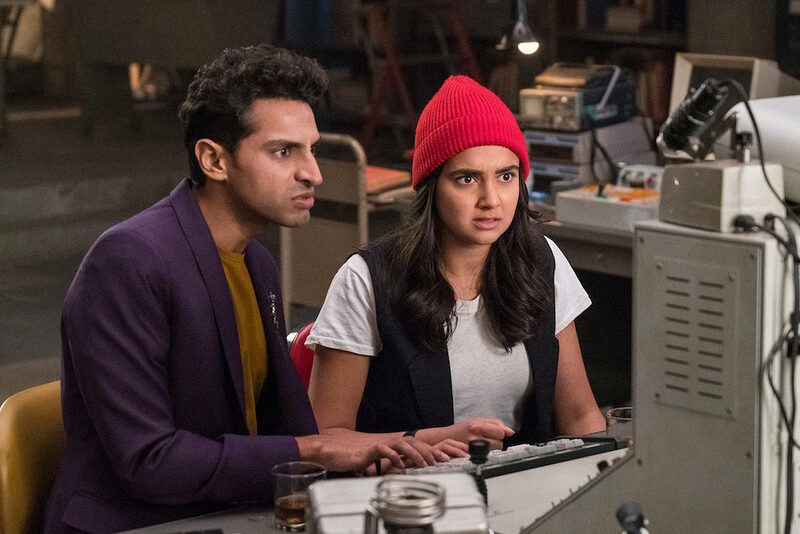 “Miracle Workers” doesn’t have to deliver the same insights as “The Good Place,” but it does need to invest in something. The laughs aren’t plentiful enough, the ideas aren’t exciting enough, and the story isn’t gripping enough. There are two love stories driving Season 1, and neither is given enough context to spawn any ‘shipping. “Miracle Workers” has all the right pieces, and it can’t put them together. But hey, with this much talent in one place, at least we can look forward to what everyone does next. “Miracle Workers” premieres Tuesday, February 12 at 10:30 p.m. ET.